What tools should I get to outfit my shop? What tools would I find handy for the work I want to do? What tools would make a great gift for my friend the woodworker? A pair of Gramercy holdfasts. Our very best seller, the holdfasts have become ubiquitous workhorses of the workbench. You’ll see them in the background in many woodworking magazine photos, quietly doing their job of steadfast holding. Most of the time you use them in pairs. You’ll wonder how you worked without them. A planing stop. This is a new product for us and an incredibly useful one. There are a zillion ways to install them. The stops are available in two versions: regular Mild Steel and Hardened. The hardened version will stay sharper longer, but for average use, the regular one is more than fine. 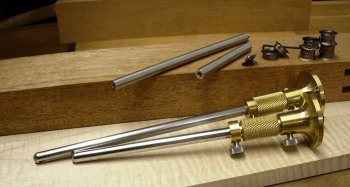 Moxon Vise hardware kit. 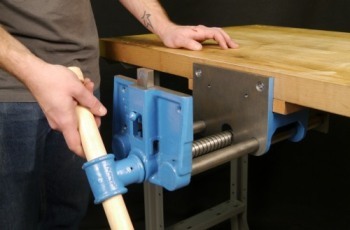 The raised Moxon Vise is a relatively new (last 10 years or so) accessory for a workbench. 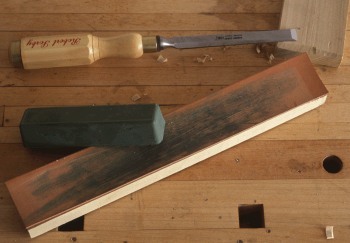 It really makes dovetailing and similar activities easier because there is less bending over. 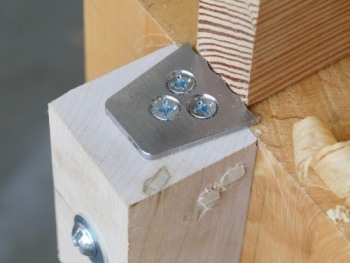 We sometimes have full vises in stock, but it's easy to build a vise around our hardware. The acme threads will last forever and the swing-away style of handles - unique to our kit - keep the handles from getting in the way. Milwaukee vises. Every workbench, except those based on really old patterns, has a metal bench vise. 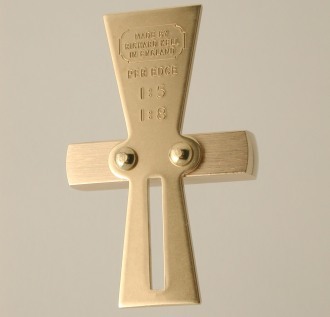 We stock the Milwaukee vises, which are made in USA and are made of very, very heavy cast iron. 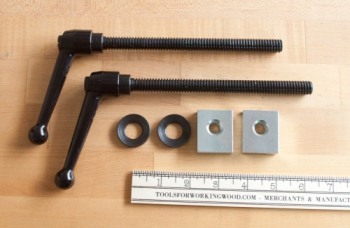 These are the larger Milwaukee vises with the quick release screw. Unlike the other items on our recommendation list, this really isn't an add-on. It's a nice item to get or give if the workbench is still in the design phase, but otherwise it might be redundant. It's pretty easy to get carried away when you are suggesting a kit for a beginner to do dovetailed joints, so we’ve tried to scope this to something manageable. A set of chisels. 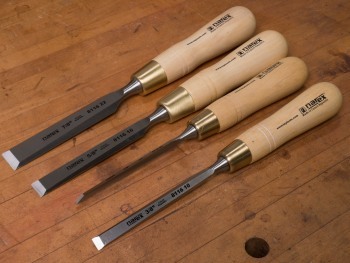 The "Add on" set of four Narex chisels will get anyone started. They’re a great inexpensive set. The "Add on" set includes a 1/8" chisel, which is why it earns our recommendation here. Once you have chisels, you have to have a tool to hit them and some way to sharpen them. 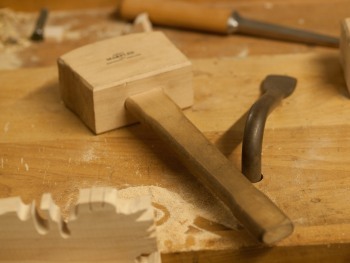 Our Wooden Carpenter's Mallet is traditional, extremely effective and very inexpensive. Sharpening film. You will need to sharpen your chisels! 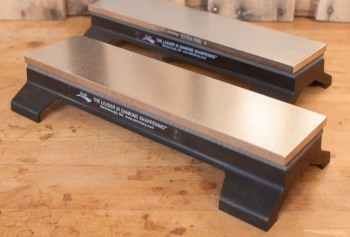 The "Fine WoodWorking" lapping film kit will give you a professional edge. 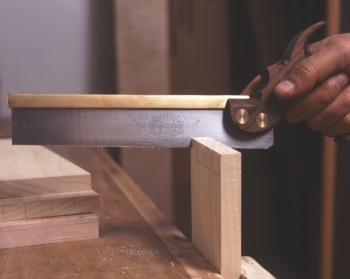 For general step by step sharpening instructions check out: https://antiquetools.com/sharp. 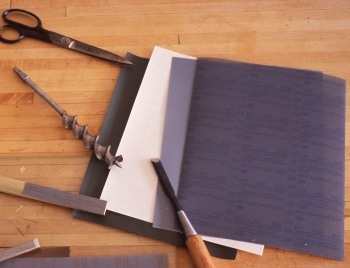 Below we also have some recommendations for the sharpening materials we use in our classes. A combination square. You probably can get away without one for basic dovetailing, but it's such an overall important tool I always put it in my list. 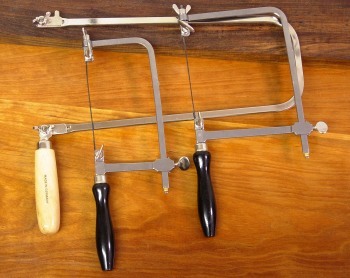 A dovetail saw. You need a saw. These particular saws are pretty decent, very inexpensive Gent's saws that will get you going. At the end of this list I will have some upgrades to the saw and some other tools that you might want if you have the interest and budget. 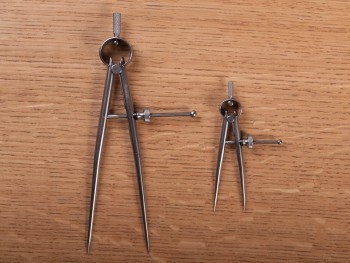 A combination gauge. The screw adjustable combination gauge from Marples will also help lay out mortises and last a lifetime. Check out the links on the product page for instructions on how to use it efficiently. You can easily lay out your dovetail by eyeball - it's not that big a deal. 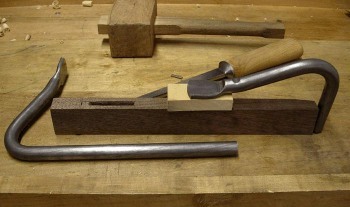 But many people like using a dovetail guide to be a little more consistent. The Kell guide is our favorite. A small pair of dividers is also handy for getting your dovetails evenly spaced. A 5" fret saw and some skip tooth blades are the ticket for sawing out dovetailing waste. You can work without one and just chisel waste, as was traditionally done, but sawing waste out will make it easier. We also stock the Knew Concepts fret saws, which are the cat's pajamas. 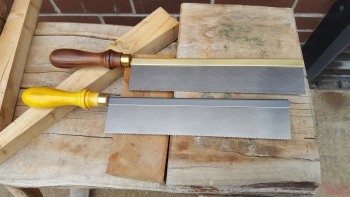 The Gent's Saw listed above is a decent saw but if you want to start out with a dovetail saw that will be a joy to use - and, we think, help you saw straighter - our hand made, hand filed Gramercy Dovetail Saw is the way to go. (It’s a big jump up in price.). These 12" diamond stones are double sided, big, and come with a magnetic base. They are awesome. Finish up with an 8000 grit waterstone. 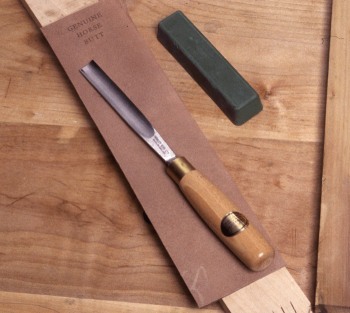 A plain leather strop is all that is recommended for chisels and plane irons. If you have to maintain carving tools, honing compound is essential. A CBN wheeled grinder makes the grunt work of maintaining a tool edge a snap. 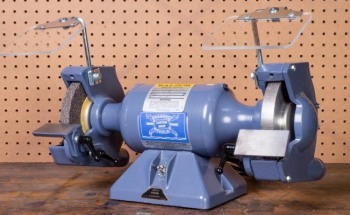 Our Gramercy Custom Tuned Baldor Bench Grinders are the best available anywhere.